At the same time his book, based on the curation and analysis of over 250 documentaries from the state-supported Films Division (FD) is so much more: It provides a historical overview over the evolution of the post-colonial development discourse in India and is also an important study on the history of documentary film making from its origins to the peak of pre-digital production in the 1970s. And as if these are not already significant achievements, Sutoris also created a companion website where most of the documentaries he introduces in the book are now available for the first time in digital format, thus establishing a great resource for teaching, learning and further research. The absence of alternative development models in the FD’s portfolio of films points to the government’s attempt to secure a hegemonic standing for Nehruvian developmentalism in India. For example, Gandhian ideals of rural agricultural development and a rejection of Western-style modernity were neglected (p.11). It is probably less surprising that a trip into the origins of Indian documentary film-making encounters many facets of bureaucratic culture as the outgoing colonial state is subsequently transformed into the modernist Indian development state under Nehru. The India of the tiny scattered villages with the traditional village school and the traditional village doctor, the India of primitive agricultural methods and the leisurely, comatose tempo of life, giving place to a new, more dynamic India, whose watchword is Progress and Still More Progress (p.53). 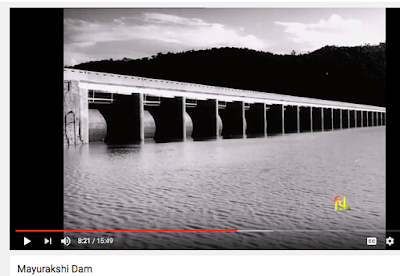 There is no doubt that the FD mostly follows orders from the ministries that outline topics for the documentaries. Sutoris focuses his analysis on a sample of about 250 of the 6000 documentaries that explicitly deal with economic and social development. Major parts of his book are also a visual and vivid reminder that ‘modernist development theory’ was not just an abstract idea discussed in the intellectual arenas of global forums, but that it dominated policy and practice for decades. The viewers were not invited to partake in the process of defining what development meant in postcolonial India; it was the ‘experts’ who determined the shape of modernity and future directions of the country. ‘Participation in the planning process’ by the Indians lay in behavioural and attitudinal changes that followed predefined blueprints set out by the government (p.100). There were many instances throughout the book where I paused and reflected on how different my world of (communication for) development is today-but also, how radical the participatory development movement of the 1980s really was in challenging the world of the one-way path of growth, dams, engineers and Western lifestyles. Going back to the medium of his analysis, Sutoris meticulously uses archival material and interviews to elucidate the dominant visual language. ‘There was a lot of talking down to people’, as Ram Mohan who joined the Films Division in 1957 confirms (p.74). Even as new technologies became available the task of the documentaries was always to appeal to a broad, unspecified audience. as Mohan Bhavnani, the first chief producer, explained (pp.73-74). You get the idea. But with minimal to no audience research, extremely long distribution pipelines and strong anecdotal evidence of people skipping the documentaries by showing up late at the screening place or walking out for a smoke break, the ‘impact’ of the documentaries is difficult to assess. And always there is that drone of a voice spouting words, words, words, didactic in content and old-fashioned in delivery (p.211). Sutoris most remarkable achievement is that he ensures throughout the book to provide space for the creative outliers and more challenging productions of the FD. As with any large organization and hegemonic discourse from ‘the World Bank’ to ‘neoliberalism’, development debates usually become very interesting at the contested margins and spaces of resistance. Sutoris dedicates a key chapter to those ‘transient outliers’. as film critic Mriganka Sekhar Ray summarizes in an earlier essay. as Sutoris describes some of the key, but also less tangible, long-term impacts. Rather than focusing their cameras on government relief efforts, the filmmakers decided to document the self-help endeavours of the local populace. Shots of university students digging wells, peasants creating irrigation channels with their hands (…) underscored the resilience and willpower of the affected people and firmly placed the locus of agency in this battle in the hands of the ‘layman’ rather than the ‘development expert’ (p.187). Ultimately, Sutoris keen eye for detail and nuances reveals how incremental and context-specific many counter-hegemonic developments were in the period of his analysis. When I incorporated a few excerpts of some of the documentaries in a recent lecture I was finally able to fully appreciate Sutoris’ efforts that succeed on so many important levels. 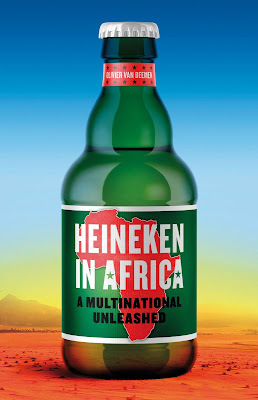 His book opens a small window into an astounding archive of ‘communication for development’ and many aspects, for example agricultural developments or changing gender discourses, have only been explored superficially. 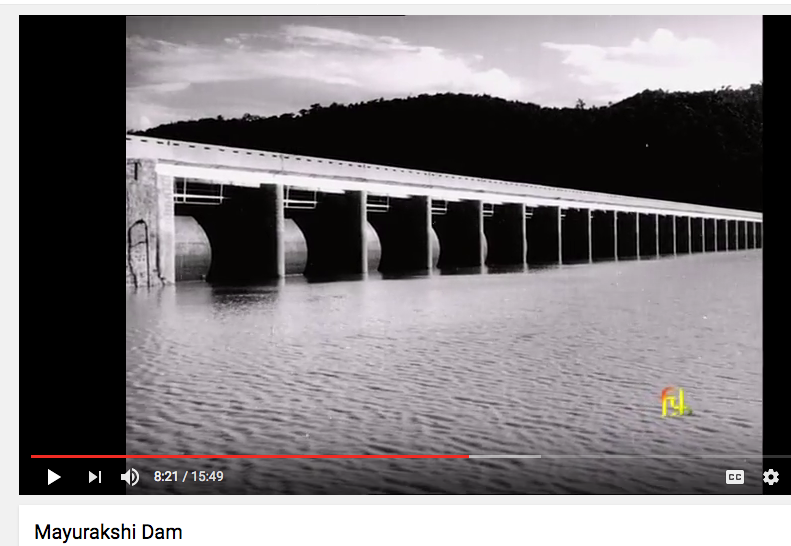 But through the digital resource website he opens up another window for teaching and learning about Indian development and the development of (documentary) film-making. Finally, the book is one of the first comprehensive inroads into the emerging debate around using visual, popular representations of development for research and beyond. 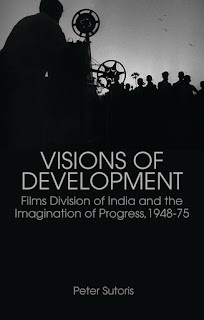 As I mentioned in a previous review of a recently published Hurst title, Visions of Development is an accessible and enjoyable read from the first to the last page due to very diligent editorial guidance which makes it a highly recommended purchase for the communication, film studies and development communities! 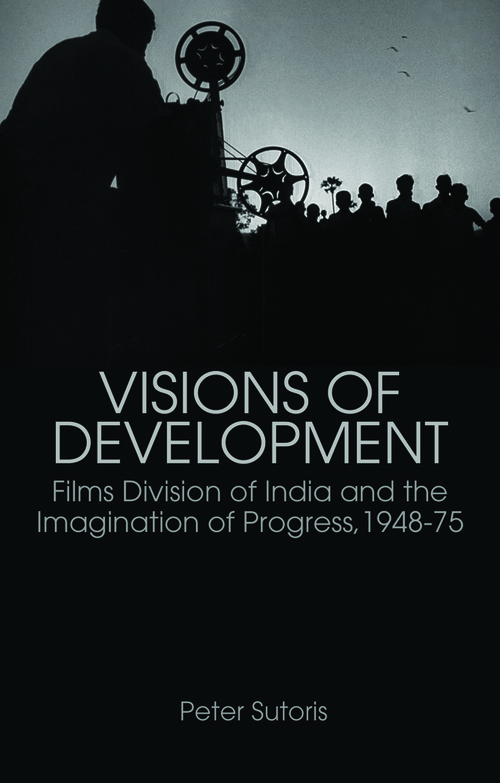 Sutoris, Peter: Visions of Development: Films Division of India and the Imagination of Progress, 1948-75. ISBN 978-1-84904-5711, 320pp, GBP25.00, Hurst, London, 2016.